The tweet raised eyebrows since Conway’s wife is one of Trump’s most outspoken, and fiery, defenders. Conway’s tweet wasn’t the first time he appeared to criticise the president. 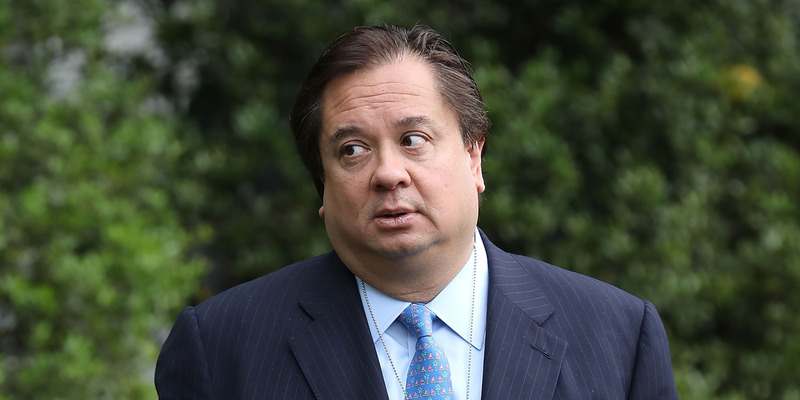 But her husband, George Conway, raised eyebrows again Tuesday when he responded on Twitter to Trump’s assertion that attorney-client privilege was “dead!” with a section of a Justice Department manual listing guidelines for executing proper searches of potentially privileged material. George Conway – a lawyer at the New York City-based firm Wachtell, Lipton, Rosen, & Katz – is a Republican through and through. Yet Tuesday’s tweet was far from his first time appearing to publicly criticise the president. Last year, when Trump vented about the striking down of his travel ban, Conway criticised Trump’s approach, suggesting that Trump’s tweets would ultimately hurt the president’s case. After sending that tweet, he said on Twitter that he still “VERY, VERY STRONGLY” supported the president, his administration, and his policies, including the executive order Trump was seeking to defend. Last month, however, he responded to reports that Trump discussed pardoning the former national security adviser Michael Flynn and former campaign chairman Paul Manafort amid the special counsel’s Russia investigation. “This is flabbergasting,” he said in a tweet while linking to a New York Times story about the matter. Trump has ramped up attacks against the Russia investigation over the past month, specifically aiming his frustrations at Mueller’s investigative team.